Greene County Community Emergency Response Team (CERT) program is sponsored by the Greene County Sheriff’s Office. 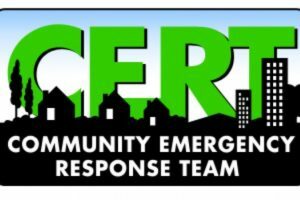 CERT helps train people to be better prepared to respond to emergency situations in Greene County and surrounding areas. 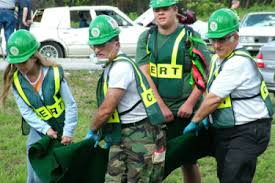 When emergencies happen, CERT members can give critical support to first responders, provide immediate assistance to victims, and organize spontaneous volunteers at a disaster site. CERT members can also help with non-emergency projects that help improve the safety of the community. Greene County Community Emergency Response Team educates individuals about disaster preparedness for hazards that may impact their area and trains them in basic disaster response skills, such as fire safety, light search and rescue, team organization, and basic disaster medical operations. Becoming more prepared in case of an emergency is easier than you might think. Whether it’s your home, your neighborhood, your place of business, or your school, you can take a few simple steps to prepare your community. CERT volunteers can help, until help arrives. Life-threatening emergencies can happen fast. Greene County’s emergency managers, firefighters, law enforcement officers, EMT/paramedics, and other emergency responders do an incredible job of keeping us safe, but they can’t do it alone. If an emergency responder is not nearby, you may be able to save a life by taking simple actions immediately. The CERT concept was developed and implemented by the Los Angeles City Fire Department in 1985. The Whittier Narrows earthquake in 1987, underscored the area-wide threat of a major disaster in California. Further, it confirmed the need for training civilians to meet their immediate needs. Since 1993 when this training was made available nationally by FEMA, communities in 28 states and Puerto Rico have conducted CERT training. FEMA supports CERT by conducting or sponsoring Train-the-Trainer and Program.